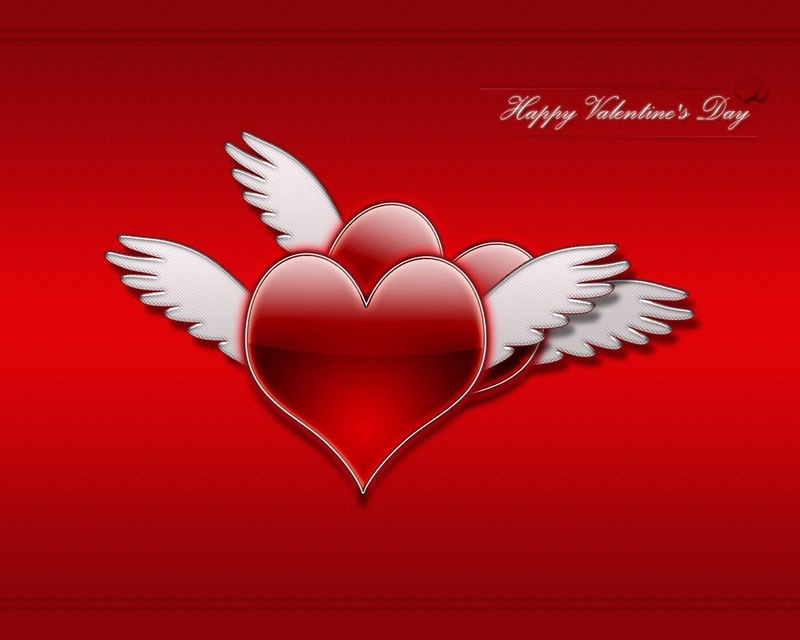 As the days grow closer to the day of Love (albeit a little commercial) planning your valentines should come from the heart and soul rather than from something that will last for a day or two but not stand the test of the soul and the heart in your Loves eyes. When deciding what to do don’t feel that you have to focus on something so daunting that it adds stress to your day but rather something made from Love and care. 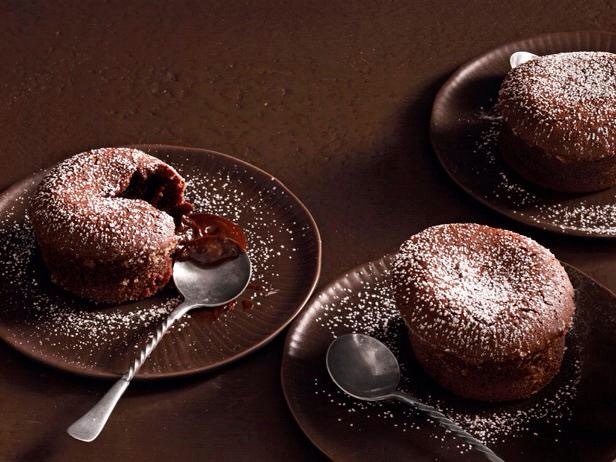 This great molten lava cake from Food network & Patrick and Gene Neely is a start. Preheat the oven to 400 degrees F. Butter eight 6-ounce ramekins and sprinkle each with 1/2 teaspoon granulated sugar. Combine the butter, cinnamon, cayenne, nutmeg and chocolate in a saucepan over low heat, stirring frequently until melted and smooth. Cool slightly. Whisk the flour, confectioners’ sugar, eggs and yolks, vanilla extract and almond extract in a bowl until creamy. Whisk in the melted chocolate mixture. Divide among the prepared ramekins. Bake the cakes until the tops are stiff and the edges darken, 12 to 14 minutes. Remove from the oven and let cool 5 minutes. Loosen the edges of the cakes with a small paring knife and transfer to plates while warm. Dust with confectioners’ sugar. Try this dessert and pair it with a raspberry or multi – berry coulis / sauce with some fresh berries as well topped with fresh whip cream and serve with some Prosecco. If if your so inclined could you prepare a wonderful dinner? If not use this dessert and the end of the night show stopper coupled with your sweethearts favourite flower! Many valentines start or end with roses, but was this great marketing by the flower industry or really truly your Valentines favourite flower? 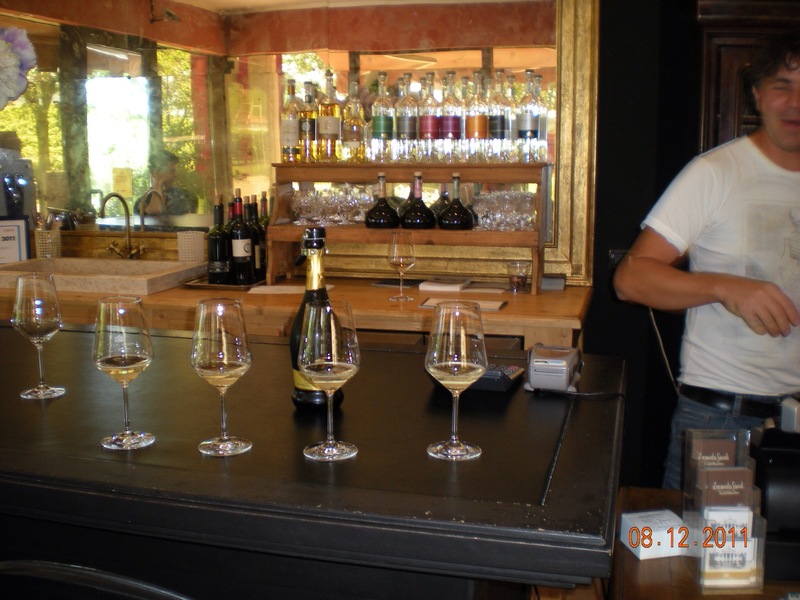 Better to know and ask if you need to! I guess the theme of my posting is truly about doing something from the heart rather than bought at a store! If chocolate isn’t your perfect Valentine sweet treat, why not making a Tiramisu? Come on folks, it’s one of the most delectable Italian treats and is truly easier than it looks and I promise smiles. 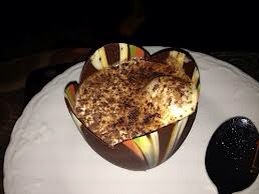 You can put the Tiramisu into any cup, dish or pan and serve it how you like but if you can find chocolate cups like these it adds a special extra touch.